Journalists from all over the world come to Warsaw to report on what is happening at the 19th climate conference. In a short interview four of them describe their impressions. 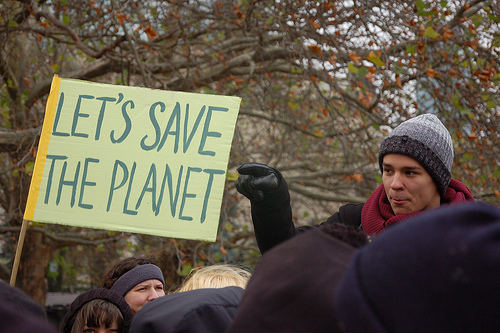 What are the most pressing climate issues in your home country? Are those issues addressed at all in this conference? 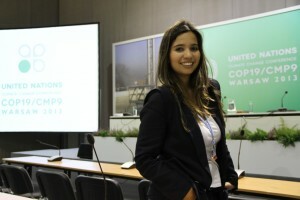 Giuliana Miranda, Brazil: The intensification of the extreme weather events is a hot topic in Brazil. As presented in the last World Meteorological Organization report, released earlier this week here in Warsaw, the water cycle has already changed in my country. We are facing severe drought in several parts of the the territory, specially the northeast and in central Brazil. Fortunately, the subject is being discussed here, but it doesn’t mean we are getting closer to a solution. 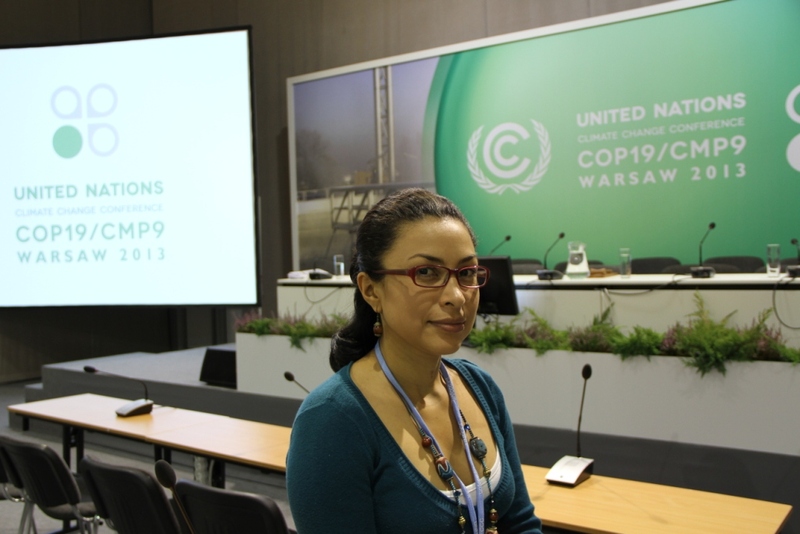 Jessly Obando, Nicaragua: Diseases related to climate change. There really is not as much information as I would like, especially in the Central American region. Nivedita Khandekar writes for the Indian newspaper Hindustan Times. Esteban Bonco Lugo Perea, Colombia: Carbon market projects, which so far have been addressed but not specifically about my country or the region. Nivedita Khandekar, India: India may not need finance but it is taking up cudgels on behalf of the developing countries. Emission reduction is an issue and I am confident our negotiators are not going to budge to the demands of rich countries. Also, India has successfully managed to remain out of the trap – and also lead all developing countries – where rich countries wanted poor countries to include agriculture and cattle related emissions. Bhrikuti Rai, Nepal: This year’s delegation focuses mainly on financing for the national adaptation plan and pushing for the loss and damage in every platform. However, the pressing climate issues remain: dealing with erratic rainfall, melting glaciers and the risk of glacier lake outburst flooding and most importantly dealing with the aftermath of theses kind of disasters. But during this COP, these issues will likely be lost in technical jargon which is more related to the financial aspects. How is the performance of your Delegation so far? Do they try to solve the problems or are they part of the problems? Giuliana Miranda, Brazil: Brazil kept a team of very experienced delegates during the last meetings, but for various reasons, the main representatives of the delegation have changed in 2013, including the chief negotiator. He might have faced some scepticism at the beginning, but seems to be doing a good job. The Brazilian proposal to look at the historical responsibility for global warming is now a position for the entire G77 group and China. Jessly Francis Obando Gonzales works for Periodico Hoy in Nicaragua. Jessly Obando, Nicaragua: Well, so far they have only been devoted to criticizing, but I see that they are now contributing to a change. Esteban Bonco Lugo Perea, Colombia: After speaking to the chief negotiator of my delegation, I must say the government has good intentions and is doing everything it can to have as best an outcome as possible. 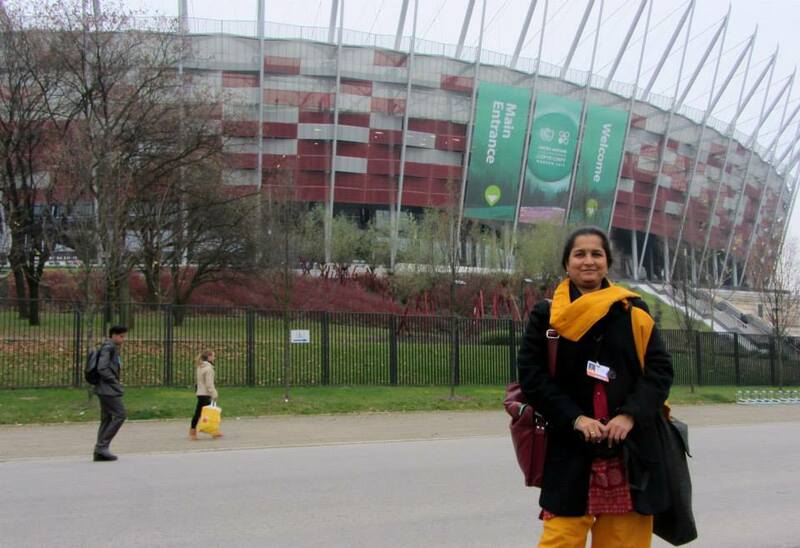 Nivedita Khandekar, India: They are very good negotiators. Not just for India, they have been successfully doing it for a whole lot of developing countries too. Bhrikuti Rai, Nepal: Although Nepal chairs the group of least developed countries and it has made its presence comparatively visible compared to other COPs, the Nepali delegation doesn’t seem to be taking advantage of the new found visibility. From the meetings I have been to it is clear that the members of the core negotiating team are the biggest drawback when it comes to addressing the problems, most of them aren’t even from the government and even if they are they are not from the departments concerned, so their presentation so far has been very superficial without really getting to the heart of the matter. What do you think of the UN Climate Summit in Warsaw in general? Is it just a talk shop or a chance for real action? 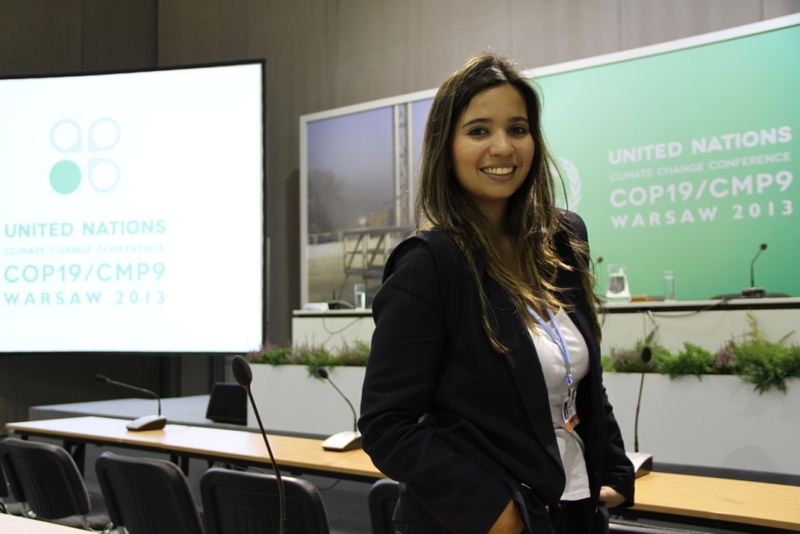 Giuliana Miranda, Brazil: I think the parties do have a chance to start to make a difference here. We know this conference will not produce any kind of revolutionary agreement, but it’s a chance to set the basis for achieving commitments [at the UN climate summit] in Paris in 2015. Jessly Obando, Nicaragua: I think they have the power to decide but not the will and those who really want change are seen as fanatics. In the first week I was disappointed and I truly hope that this week will see something more concrete. Esteban Bonco Lugo Perea works in Colombia for the newspaper Diario el Nuevo Siglo. 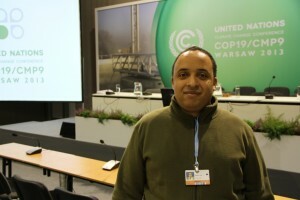 Esteban Bonco Lugo Perea, Colombia: It must be an opportunity for action. The world will not forgive otherwise. Nivedita Khandekar, India: The COP19 at the end of its first week does look like it is going to be only talk, talk and more talk. The rich nations, especially the USA, seem in no mood to work out a deal. But as Christiana Figueres, the COP executive secretary, said today, there is still time for hope. Fingers crossed. Bhrikuti Rai, Nepal: I think UN Climate Summits help put on the table many pertinent climate issues but the fact that the bigger economies have the most say in these talks and they are the ones really steering the direction of the entire summit, the chance for real action is missed somewhere along the line when these countries decide to backslide on the commitments and pledges. The summit in Warsaw still has a week to go so it still cannot be said how the talks are going to turn, but the fact that the host country itself does not seem very keen to steer away from cheap fossil fuels, means that it is likely that the bigger economies might yet again postpone dealing with the pressing issues until next year. A quick stop-over in the German capital is always worth it. Many participants of this year’s UN climate summit in neighbouring Poland are likely to do just that with the Dahrendorf Symposium taking place in Berlin on Thursday and Friday coinciding with the first week of the UN talks in Warsaw. The Symposium strives to add fresh impetus to the ongoing climate negotiations asking how exactly Europe can keep spearheading the fight against climate change. Former Prime Ministers such as Italy’s Mario Monti or Ireleand’s Mary Robinson together with many other leading experts from academia, politics, and industry will be discussing how successful Europe really is in fighting climate change and the challenges lying ahead. New mechanisms of taxation and funding that could benefit economic growth as well as climate protection. The Dahrendorf Symposium, which is hosted every two years, is taking place at Berlin’s Akademie der Künste on November 14 and 15. Founded in 2011 in the spirit of Lord Ralf Dahrendorf, the organizers say, it aims to challenge entrenched patterns of thought and argument on the future of Europe. You can find further information about the Dahrendorf Symposium on the conference website and in the programme. A much-awaited United Nations report on the science behind climate change says scientists are 95 percent sure that humans are the “dominant cause” of global warming since the 1950s. The document, which is meant to serve as a guideline for policymakers to shift towards greener energies, warns that the impact of greenhouse gas emissions could linger for centuries. The report by the Intergovernmental Panel on Climate Change (IPCC) is considered the most comprehensive document on our understanding of the mechanics of a warming planet and the physical evidence behind it. 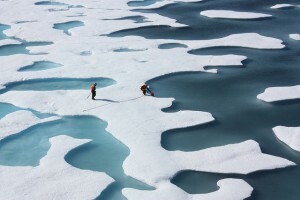 Global warming is “unequivocal,” on the ground, in the air and in the oceans. And It’s “extremely likely” or 95 percent likely that human activities, led by the burning of fossil fuels, are the main cause of a rise in temperatures since the 1950s. Concentrations of carbon dioxide and other greenhouse gases in the atmosphere have increased to levels that are unprecedented in at least 800,000 years. The burning of fossil fuels is the main reason behind a 40 percent increase in C02 concentrations since the industrial revolution. Short, individual periods, such as 1998, which was an unusually warm year, are influenced by natural variability and are not an indicator of long-term climate trends. Global temperatures are likely to rise by 0.3 to 4.8 degrees Celsius, or 0.5-8.6 Fahrenheit, by the end of the century depending on how much governments control carbon emissions. Sea levels are expected to rise a further 10-32 inches (26-82 centimeters) by the end of the century. That will pose a threat to coastal cities from Shanghai to San Francisco. The Greenland and Antarctic ice sheets have been shrinking over the past two decades. Glaciers have continued to melt almost all over the world. Arctic sea ice has shrunk and spring snow cover has continued to decrease, and it is “very likely” that this will continue. 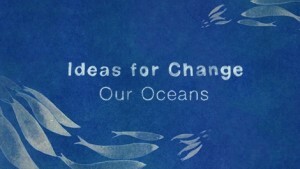 What can you promise yourself that will in some way help protect the world’s oceans? That’s the question today, on World Oceans Day. It’s an event meant to honor what is one of the world’s main protein sources – the oceans. We definitely need to save our ‘blue gold’. In 2011 alone, 131 million tons of fish ended up on dinner plates worldwide. To celebrate this year’s event, the World Economic Forum (WEF) has released a short animated film narrated by American oceanographer Sylvia Earle. “The world is blue,“ she says. The message is clear – all of us need to take better care of the world’s oceans and stop using them as dumping grounds for garbage. We also need to stop overfishing them and drilling into the ocean floor in the hunt for oil. If you want to get a glimpse at what the future of the world’s oceans might look like, the WEF has also released an infographic. It’s definitely worth a click. World Oceans Day had been unofficially celebrated since 1992 and was officially recognized by the United Nations in 2008. Ever since, the day has a special theme each year. This year, the event’s organizers want you to make a promise to change one thing in your lives that will help protect the ocean. The idea is to upload a photo of the promise to social media plattforms – make sure you mention #WorldOceansDay. Today is World Environment Day and this year’s event is focused on cutting the world’s staggering amount of food waste. “Think. Eat. Save. Reduce your Foodprint“ is the motto of the global event which is being marked by marches, awareness-raising campaigns, talks, marathons and other events around the globe. And the statistics published by the United Nations might just give you food for thought. According to the UN Food and Agricultural Organization (FAO), an estimated one third, or 1.3 billion tons, of all food produced worldwide ends up in the trash. Farmers, transporters, retailers and consumers alike are to blame for the waste. The FAO says this isn’t just a colossal waste of food but also a squandering of natural resources used along the production and supply chain process. The FAO is urging people to be more aware of the decisions they make regarding food consumption. 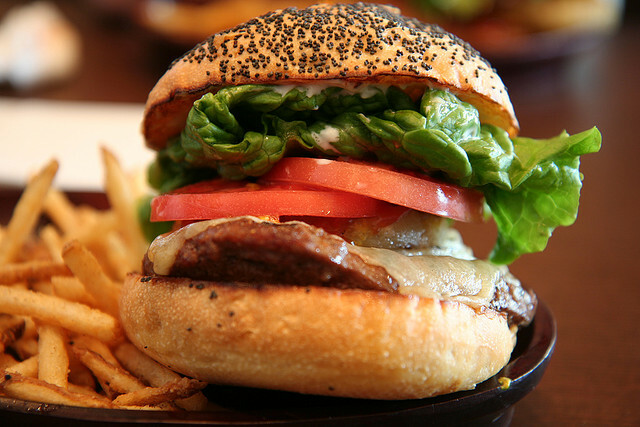 And if that isn’t enough to make you pause and think, consider this – the FAO says that to produce one single hamburger, 16,000 liters of water are used. And here’s another chilling fact for all the meat-lovers out there – the FAO estimates that producing one kilogram of meat is far worse for the environment than a 250-kilometer-long car drive. That takes into account the massive cost of feeding animals. It’s estimated that up to 35 percent of grain harvests around the world and 80 percent of soya harvests are used as animal feed. At the same time, 870 million people around the world go hungry every day.